Stella Stolper says Sater — who's scheduled to testify before the House — stole business and personal data using an "unauthorized backdoor" on her devices. A TV producer is suing Felix Sater, a former business associate of President Donald Trump, for more than $1 million, alleging he hacked into her computers while staying at her home. 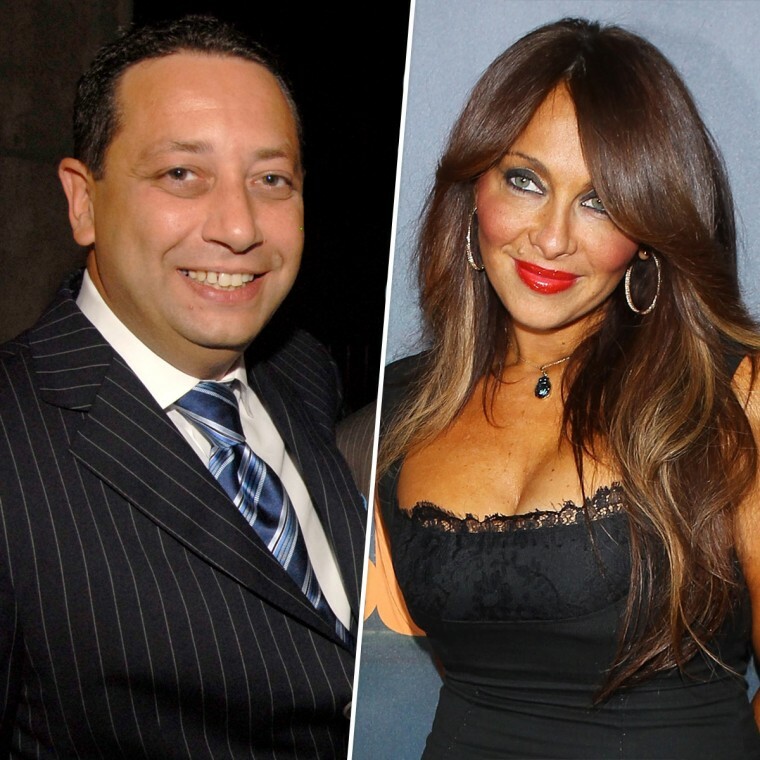 Sater, a convicted felon who served as an FBI informant into the world of Russian organized crime and was involved in an effort to secure a Trump Tower in Moscow, is a former childhood friend of Stella Bulochnikov Stolper, according to Stolper's lawsuit in Brooklyn federal court. Stolper, who has produced reality TV shows for the like of Paris Hilton and once managed pop singer Mariah Carey, had lost contact with Sater over the years, "but reconnected in November of 2017 at a funeral," Stolper's suit says. "Sater took advantage of Stolper’s delicate emotional state and their shared history, and began spending more and more time with Stolper" in an effort to leverage "Stolper’s substantial connections in the entertainment industry," her filing says. He "requested that Stolper make introductions for him so that Sater could pitch media endeavors based upon his own turbulent life story," Stolper's suit says. His criminal past includes serving time in prison after he slashed a man's face in a bar fight with a broken margarita glass in 1991, and pleading guilty in 1998 to involvement in a $40 million mafia-linked stock swindle. The suit says Sater and his assistant, Kalsom Kam, often stayed in Stolper's home in Los Angeles, even when she was not there. "By the Fall of 2018, the relationship between Stolper and Sater had deteriorated. In particular, Stolper became frustrated and suspect with Sater’s and Kam’s increasingly lengthy stays at her home, and with their increased meddling in her business, professional and personal affairs. Finally, Stolper demanded that Sater and Kam permanently leave her home," the suit says. They did — but about a month later, Stolper discovered they hadn't left empty-handed, the suit says. According to the filing, "Kam had created a form of electronic backdoor access for himself and Sater to remotely access Plaintiffs’ computers and devices, including those used for the business of (her company) Wikked Entertainment and for Stolper’s separate business and personal affairs. Plaintiffs further discovered that Kam and Sater had continued to access Plaintiffs’ computers and devices via the unauthorized backdoor remote access, even after Defendants were directed to leave her home." The pair had "misappropriated virtually all of Wikked and Stolper's digital and electronic files," including client information, scripts, show proposals, contracts and personal photographs, the suit says. The lawsuit seeks over $1 million in damages, and a court order demanding the return of Stolper's files. Both Sater and Kam blasted the lawsuit as meritless. Kam told NBC News in an email, "I vigorously deny the false allegations that have been made." "I worked for Stella and Felix for over a year" and "was completely authorized by Stella to do the work that I was doing," he said. The suit, which was filed Friday, was first reported by The New York Post. Sater is expected to testify publicly before the House Intelligence Committee next week, where he'll likely be pressed about his work alongside former Trump lawyer Michael Cohen to build a Trump Tower in Moscow during the 2016 election. Sater confirmed to NBC News last year that those plans included a $50 million penthouse for Russian President Vladimir Putin. "That is a classic real estate marketing technique, to attract a celebrity to live in your building," he said. "I just took it to the next level. I would have made another $250 million, because every oligarch in Russia would have wanted to live there." The House Judiciary Committee included Sater in a document request made to dozens of Trump associates on Monday.